Perfect for everyday dining or casual get-together, these rustic bowls will amaze your guests! Ideal for serving hot and cold food, such as soup, spaghetti, salads, even punch! 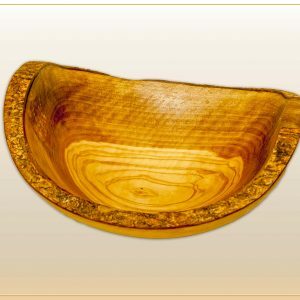 Our bowls are made of solid pieces of olive wood, are non-porous and non-absorbent, making cleaning a piece of cake: water and dish soap, and voila!